IBPS CWE Clerks, POs, MTs, SOs Recruitment Exam dates 2018 released at IBPS Portal: IBPS Probationary Officers, Management Trainees Recruitment Exam dates 2018 Declared, IBPS RRBs Officers, Office Assistants Recruitment Exam dates Declared, IBPS Bank Clerks Recruitment Exam dates declared 2018 declared. The Institute of Banking Personnel Selection (IBPS) declared the dates of main examination for the recruitment of clerks (CWE Clerks-V), dates of main written examination and interview for recruitment of probationary officers (PO)/ management trainees (MT) and dates of written examination and interview for recruitment of specialist officers (CWE SPL-V). The candidates can check the Recruitment details from the official website of IBPS. The results have been provided in the various links given in the IBPS website, i.e ibps.in. Institute of Banking Personnel Selection (IBPS) has released the tentative calendar for the IBPS recruitment exams to be conducted for various Regional Rural Banks (RRB) examinations and Public Sector Banks (PSB) exams for year 2018. According to the IBPS 2018 calendar released, IBPS RRB CWE VII preliminary examinations for Officer Scale I and Office assistants will be held in August and September 2018 while the single examination for Officers Scale II and III will be held in September. The Main examination for IBPS RRB Officer Scale I will be held on September 30 and IBPS RRB Office Assistants main exam will be held on October 8 this year. Every year close to 1.5 crore candidates register for various exams conducted by IBPS, the biggest bank exam conducting body. IBPS makes arrangements for the exam, conducts online Preliminary examination, declares result of online Preliminary examination and informs the shortlisted candidates about the online Main examination. Disclaimer: IBPS, however, reserves the right to change the guidelines/modalities stated above on the basis of administrative reasons, court order, Govt. Advisories, etc. 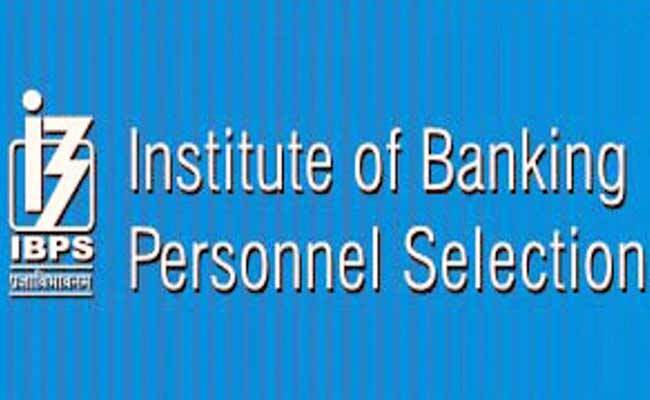 Institute of Banking personnel Selection (IBPS) had released the scores for candidates selected for interview after Common Written Examination (CWE) for Specialist Officers (SPL) last month. Follow these steps to check the Institute of Banking Personnel Selection (IBPS) CWE Clerk, Probationary Officers, Management trainee and Specialist officers results. Step I: Go to the official website of Institute of Banking Personnel Selection (IBPS), http://ibps.in/. Step IV: Enter your Registration number or roll number with password. Step V: See your results there. SO, PO and MT results are combined results of main written examination and interview. About IBPS: IBPS is an autonomous body which is created to render assistance to organisations in areas such as personnel like recruitment, selection, placement, designing, and developing suitable measurement tools/tests. IBPS provide its services to all Public Sector banks, SBI, Associate Banks of SBI, RBI, NABARD, SIDBI, few Co.op. Banks, LIC and Insurance companies which are regular members of the IBPS society.